Less than a couple of months after ZTE unveiled the bezel-less Nubia Z9 smartphone, it is being rumoured that the Chinese company will announce a slightly updated version of the flagship on June 30. Dubbed Nubia Z9S, the device is said to bring Cat 9 LTE connectivity. This compares to the Nubia Z9, which was limited to Cat 4 LTE. For those who aren't in the know, Cat 9 LTE theoretically supports download speeds of up to 450Mbps, while Cat 4 maxes out at 150Mbps. 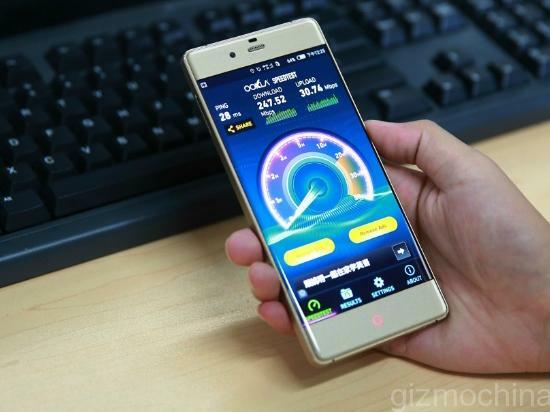 The alleged photo of the Nubia Z9S (see above) shows the device reaching a download speed of around 250Mbps. Aside from the Nubia Z9S (if the rumour is true), the Huawei Honor 7 and the Meizu MX5 will also be unveiled on June 30. Im more interested in the wifi to were the phone is connected and who offers it in this case.Download speeds of +200MB that's awesome. What good is a bezel-less phone? It is prone to damages.